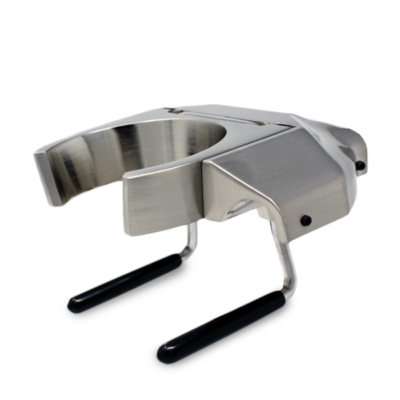 The Sette 270Wi retails all of the features of its younger sibling but also offers up the holy grail of espresso prep – grinding to weight, directly into the portafilter! 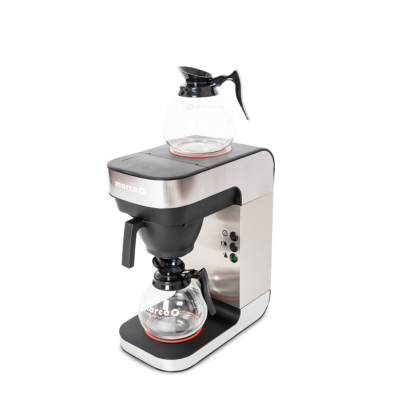 The “i” stands for intelligence and with an upgraded and intelligent control board from it’s 270W predecessor, it’s the next generation from Baratza. The new intelligent control board has the ability to learn and adjust as you use it and can filter unpredicted vibrations that may affect dosing accuracy. The second generation grind by weight model is a result of a great colab between Baratza and our good friends at Acaia. 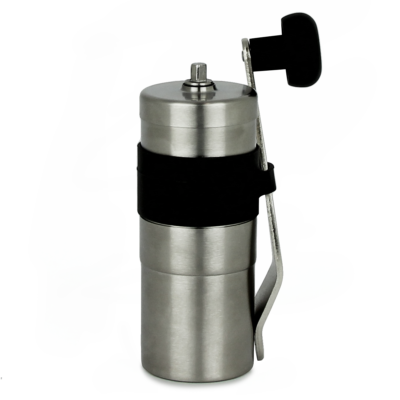 With the revolutionary ability to grind by weight directly into your portafilter (or grounds bin for you filter brewers out there). The big brother of the range, the 270Wi comes with Acaia designed Bluetooth technology to monitor, log and track grind sessions, weights and settings – as you can tell, this is a tool specifically made for home enthusiasts & baristas. 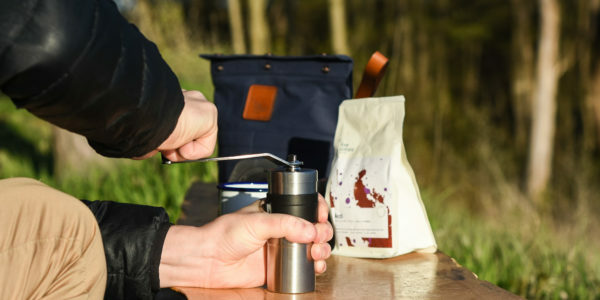 The Sette range is also packed with grinder essentials; a macro/micro grind size adjustment, 3 programmable settings for dosing and a built-in convertible holder so you can grind hands-free. The “i” in 270Wi stands for intelligence. 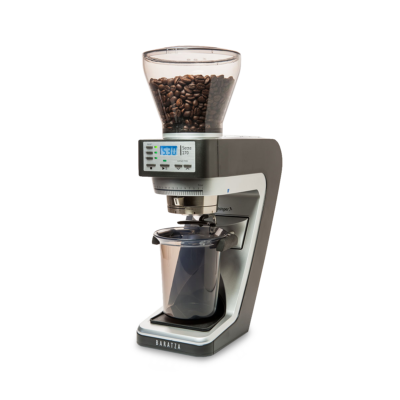 Since the 270W model, the grinder now quickly calculates and predicts the stop point when you change your grind setting, beans, or dose weight. This eliminates the need to adjust the offset. The new 270Wi maximises its built-in Acaia high precision scale by filtering unpredicted vibrations that could affect dosing accuracy, such as door closures, footsteps, unsteady surfaces. 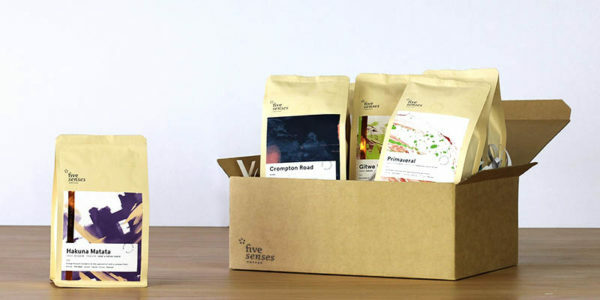 Five Senses provides a one year return-to-base parts and labour warranty on all Baratza grinders sold in Australia. So if you have any issues with your Baratza during that first year, head over to our Baratza Warranty Claim Portal. This grinder was designed with a built-in scale using the weighing technology of Acaia, giving precise and accurate weight based dosing, and a 10th of a gram sensitivity. 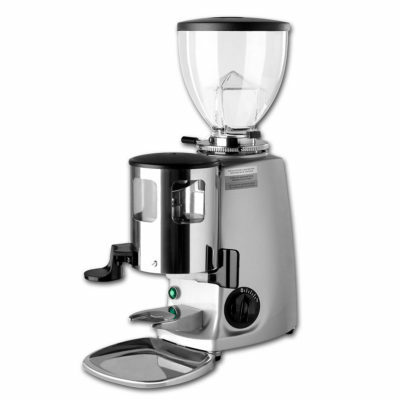 The 270Wi has the revolutionary ability to grind by weight directly into a portafilter! In addition, the 270Wi will be available in the future with Bluetooth capabilities via the BrewBar app from Acaia. It is designed to monitor; log and track grind sessions, weights and settings. The BrewBar App is a tool made for use with the Sette by home enthusiasts, coffee shops and the barista. 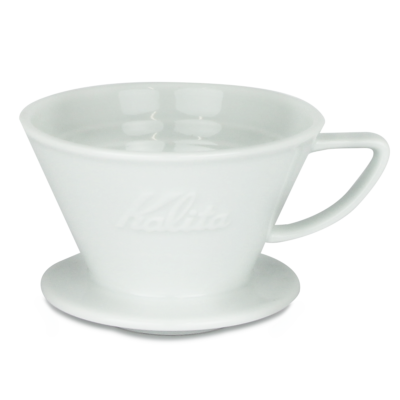 Using a combination planetary gear box and a patented crown gear drive system, Baratza achieve a 19:1 speed reduction. A user-friendly front mounted control panel has an easy to read backlit LED display. 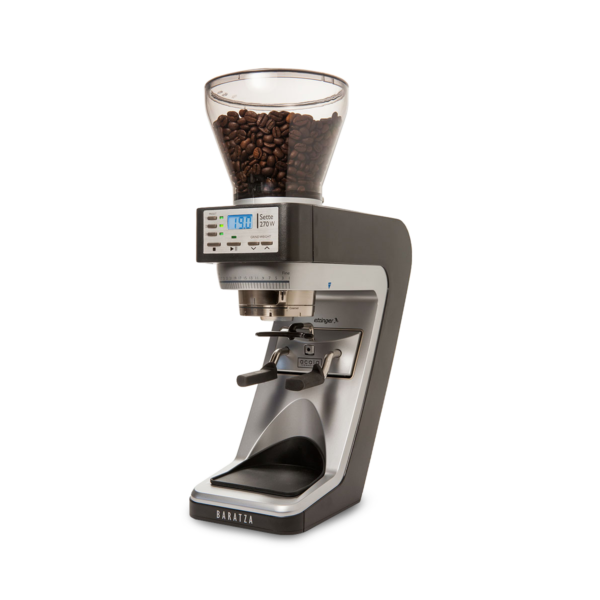 Three programmable buttons allow for grind weight setting within 0.1 gram. 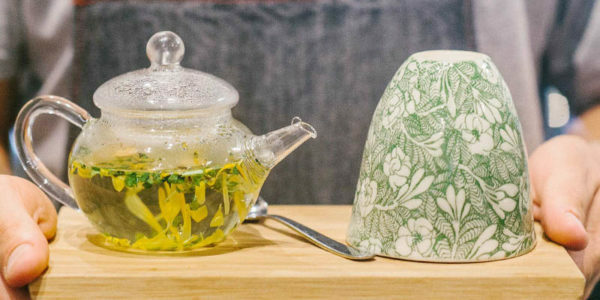 Simply press the start button and the Sette automatically delivers precise dosing. And now with upgraded intelligence, the control board learns and adjusts with use and filters unpredicted vibrations that may affect dosing accuracy.